As humans we just love getting stuff for free. We will queue to get a free breakfast bar being handed out which we wouldn’t normally eat, collect discount coupons for coffee when we prefer tea and so on. 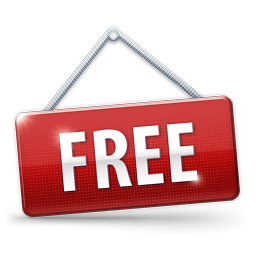 Free also features heavily in consumer promotions too – you can buy your new sofa, car, television even dental treatment; interest free. Not many pause to consider how this can be. The reality is the service provider is covering the interest charge as a ‘marketing cost’ to encourage you to buy their product or service. Free doesn’t really mean there is no interest charge it just means it is masked and presented in a way to look free. This is same when you are enticed with the promise to sell your dental practice for free. The desire to bite at this offer is overwhelming – we all love free stuff. The thing is someone has to pay as we know it can’t really be free. So in this case the person who pays is the buyer – which let’s be clear about it, means the agent is now working for the buyer not the seller. In my world you cannot take an instruction from a seller and act without conflict when you are being paid by the buyer. Last year I had a client, who was well advised by his solicitor, to explore the open market with Frank Taylor & Associates and achieved an offer of £350,000 than he had previously accepted. This was after paying the agents fee – selling for free could have been the most expensive mistake he made in a long while. The difference was firstly presenting the practice to the open market to get multiple offers and to also be very clear who was paying for the service – the seller. There was no ambiguity, grey area, conflict about who was being served in this situation. Potential Client: But the other agent, they will sell my practice for free. Emma: So work for the purchaser? Emma: Is that what you really want? Potential Client: Err, no I hadn’t thought of it like that. What is the next step forward? * and you could miss out on £350,000 of value.